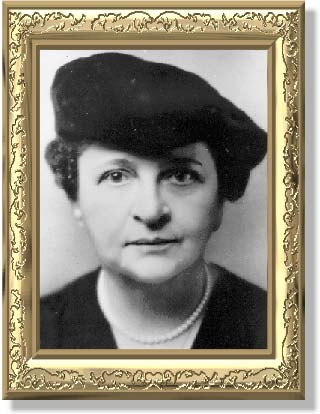 Frances Perkins was born on April 10, 1882 in Boston, Massachusetts. She graduated from Mount Holyoke College in 1902, and Columbia University in 1910 with a master’s degree in sociology. In 1910 she became head of the New York Consumer’s League, lobbying for better working hours and conditions. In 1933, Franklin Roosevelt appointed Ms. Perkins as his Secretary of Labor, a position she held for twelve years, longer than any other Secretary of Labor and making her the first woman to hold a cabinet position in the United States. As Secretary of Labor she played a key role writing New Deal legislation, including minimum wage laws. However, her most important contribution came in 1934 as chairwoman of the President’s Committee on Economic Security. In this position she was involved in all aspects of the reports and hearings that ultimately resulted in the Social Security Act of 1935. Following her tenure as Secretary of Labor in 1945, Ms. Perkins was asked by President Truman to serve on the U.S. Civil Service Commission, which she did until 1952 when her husband died, and she resigned from Federal service. Following her government service career, Ms. Perkins continued to be active as a teacher and lecturer until her death on May 14, 1965.